I need a logo designed. 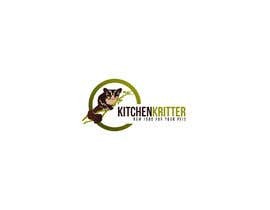 I am looking for a simple logo for my company KitchenKritter! Feeding your pets raw foods instead of kibble is gaining more and more popularity because of the low regulations of the pet food industry. At KitchenKritter, we believe your small pets deserve similar care. If Kibble isn't good enough for you or your dog/cat; why is it okay for your ferret, chinchilla, or sugar glider? Exotic animals especially have very specific dietary needs. At KitchenKritter we make and ship that food to you so you don't have to worry about measuring, handling raw food, or worrying about how fresh those bananas sitting on the counter still are. Easy instructions, nutritious food, no kibble, supplements, or other additives. Since we started this business centered around sugar gliders, I'd love to see one in the logo. PLEASE HAVE A SUGAR GLIDER IN THE LOGO, NO DOGS, NO CATS. Logo may or may not include the name. I DO NOT want to see any dogs or cats, and no script fonts or serif. ANY DESIGNS FOUND TO BE STOLEN WILL BE REPORTED IMMEDIATELY AND REJECTED. Please check #109 too thanks! Hi Sir, please check #108 thanks! I would like to see a sugar glider in the logo, not just text. Thank you. Please no dogs or cats. Sugar gliders instead.